I love the Consumer Electronics Show. Maybe I’m numb from decades of attending it. Maybe I’m just too much of a fan of watching stuff get made. Maybe I just like long lines and the potential for airborne illness. Really what I love is the technology industry and that every year we get together and demo new products, share works in progress, and take chances on offering products people don’t yet (or ever) know they want. CES 2014 was an exceptionally unique year and one that I think will be remembered as the start of a new era, much how the 1970 show changed TV with the introduction of the VCR or the 1981 show changed music with the CD player. CES 2014 was an exceptionally unique year and one that I think will be remembered as the start of a new era. 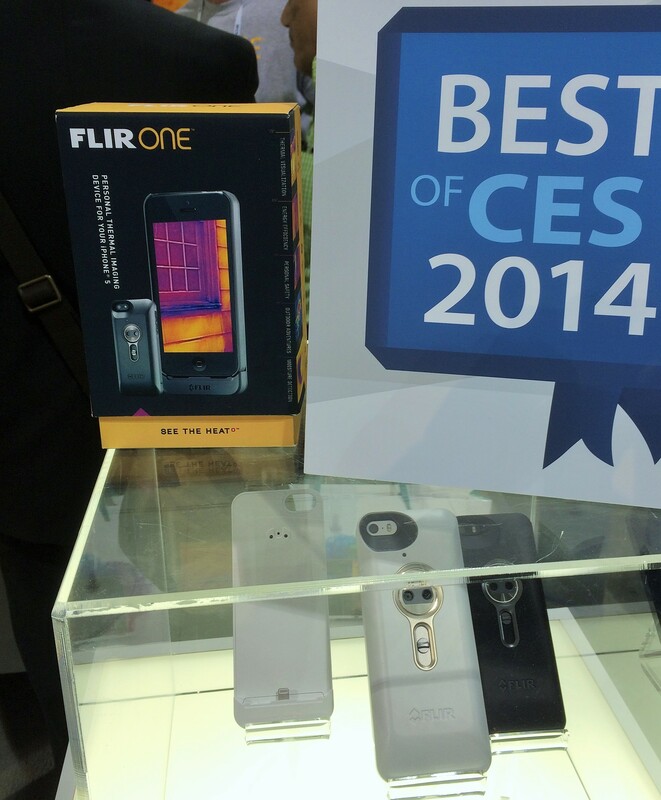 But wait, you ask “What product was launched at CES 2014?” The answer is “None”. Instead, this is a year in which every product is about software, and every product assumed that the computer involved would be based on modern mobile platforms, and most everything connected to a cloud service. As an industry we’re not there yet, as we will talk about below, some offerings still cling to previous models of accessing computing and we’re likely to see much changing of the guard as breakthrough products emerge. The ubiquity of the modern mobile platform, smartphones and tablets, might seem obvious to all of us in computing proper, but it took the better part of a decade for it to go from a section of the show to a big presence to woven into the fabric of every exhibitor. Likewise, software has gone from “content” to “console games” to “pc applications that get thrown in with a device” to the raison d’être or differentiation of consumer electronics. So put aside the lines, the endless sameness of non-differentiated products, the puzzling keynotes, or even the absence of Apple and Google, and consider the over 3200 companies of all sizes showing off products of all kinds. For me, I think back to when I was a kid and the excitement around what was next came at the yearly Auto Show or reading about the historical World’s Fair Expos. It is hard to avoid concluding that CES is our era’s expression of the future—transportation, healthcare, communication, entertainment, and more are represented by the innovation on display at CES. 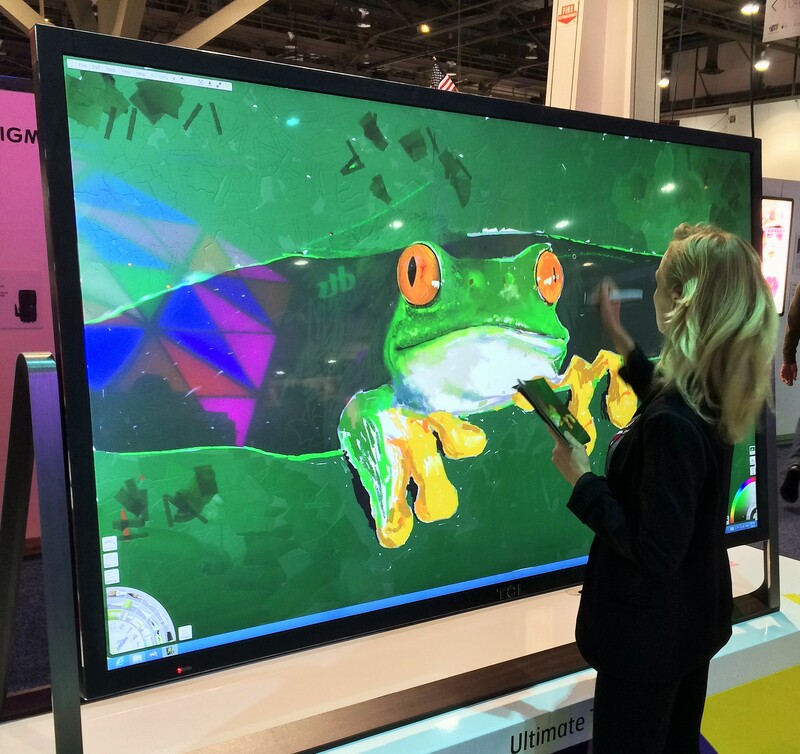 It is hard to avoid concluding that CES is our era’s expression of the future—transportation, healthcare, communication, entertainment, and more are represented by the innovation on display at CES. Me, I’m just excited to get to go to the show and systematically walk up and down every aisle exploring what is there to see. My one set of eyes and one post can’t compete with the likes of the professional tech press that push out hundreds of posts during the week or with the amazingly thorough coverage of “best of” done by many. Instead, I offer these observations or themes from a product development perspective—what would I be looking at as a product manager or engineer. As I’ve said in this blog many times, learning comes from observing and sharing. Product plans come from many points of view and sources coming together in the context of a company. I cover a lot, but there is more. It was a great show for learning and thinking about the next phase of our industry. This report looks at themes covering embedded smarts, healthcare devices, communication wearables, screens (4K, curved, skinny), less futzing, and overall trends up/down. Companies aren’t dumb. A lot of times when a product is first seen something jumps out at you as totally wrong. Keep in mind many of the products are not about the use cases for today, but for use cases yet to be seen. The most classic example is the Walkman— a “tape recorder” that didn’t record. Or more recently, a digital camera that is bigger, heavier, costlier, and worse than a film camera. Sometimes the new use cases aren’t even obvious to the companies yet, and this is even more true today as many “hardware” companies are moving forward rapidly with hardware or the supply chain is making available new components because it can, neither really having software that can implement new use cases. Limitations seen in less than one minute are known by the product people. Every product has issues, limitation, constraints. Walking up to a brand new product and thinking you’re the first person to notice such is usually a mistake. While the person at the booth might know the FAQ, it is a good idea to assume the product folks back at HQ actually know the limitations. I can’t count how many times people commented on the battery life of one of the wearables with screens—as though the people developing them would not like to have a month of battery life or were not aware of the trade-off between weight and battery life. Iteration is baked into the product you are seeing. Even though the product is for sale, it might not be done yet. It will get smaller, faster, cheaper, power efficient, lighter, and more feature rich. It will do so quickly. Many of those plans are in place. Because so much of the hardware is now subject to Moore’s Law, it is already happening and you can just wait—the price of 4K displays will drop rapidly and because of 1080P volume the price is already spectacular compared to what we’ve come to expect based on previous generations. For software, we all know updates and features are part of the plan. There’s no guarantee things will go in the “right” direction for every product but iteration will happen. Because there are many players, keep in mind that iteration by one player becomes learning for another player so there is ample opportunity for changes in leadership. We all know in technology, first mover advantage is not necessarily an advantage. Multi-party, iteration is the reason. Core competency matters. With so many devices doing so many things and so many products incorporating features from other products for differentiation, it is important to focus on the core competency of a product. There’s a good chance a product will try to do too much or for that matter all the products will try to differentiate themselves based on some peripheral features. Don’t lose sight that TVs should have a good picture, fitness bands should measure your fitness well, scales should be fast and easy to read, speakers should sound good and so on. Everything has depth and experts. Every year I get surprised by some product that I never thought of and think how amazing that idea is, and then I see 3 more of them on the show floor. It is easy to forget that inside the CE industry there are many industries. Within those industries are people who spend their careers mastering something that, to the uninitiated, might seem narrow. 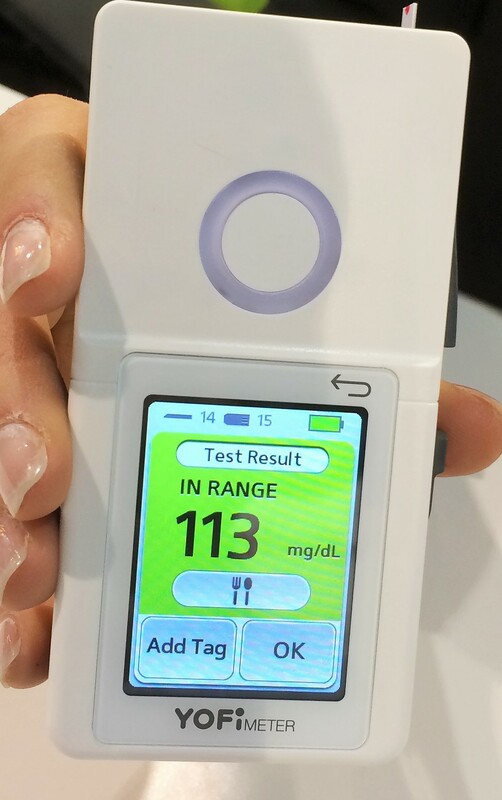 I saw a modern blood sugar monitor (see below) this year that was totally unique. Then I saw two more. These experts are all feeding off many of the same inputs and so one should expect some degree of convergent innovation. Said another way, in the context of a broad show like CES, something that I think is really cool might not actually be all that innovative to those in the field with some domain knowledge. Let’s look at some themes and within them put on our product manager hats and see how what we observed might influence our own choices in products design. I’m going to take the observations from the show floor and project forward a bit as that’s what product management needs to do with the data when there are technology bets to be made, products to design, and specs to write. Intel kicked off the show with a keynote declaring that all devices need to be smart. Walking around the show floor showed that this advice has already been taken to heart. While smart TVs are the most obviously visible (and also a holdover from the past two or so years), we also saw smart cars, smart healthcare devices, smart fitness monitors, smart watches, smart home appliances, smart projectors, and more. Smart was everywhere. Should it be? Smart can mean anything from a touch-based user interface replacing the existing mechanical UI to taking a formerly mechanical device and embedding an entire OS with app ecosystem into the device. Moore’s Law is an important contributor to this trend. Previous views of smart devices would have meant connecting the hardware device to a PC, with all of the costs, size, power that this entails. Home automation that used to take a PC now just connects devices with Wi-Fi to a cloud service, for example. A home blood pressure monitor would have stored some number of readings until you connected it with a serial cable to a PC and now it just sends those over Wi-Fi to a cloud service. TVs would have been connected to a PC that presented a full PC experience through an alternate user interface that today can offer this same type of functionality through an entirely embedded solution. Now it is both feasible and economic to include an ARM-based computing platform and either a Linux or Android OS driving the “smarts”. But is this always right? The product manager view might be that it is time to look at use cases and scenarios and step back. While the hardware side is possible, the software might not be delivering the right experience. The truth is, some devices should be dumb. And that’s ok. The internet of things does not need to recreate the challenges of the internet of PCs. A single general purpose approach used everywhere might not be the best approach compared to tailored devices working with a very rich mobile device and cloud services. The truth is, some devices should be dumb. And that’s ok.
One reason for this is that there can only be so many app ecosystems. It simply won’t be possible for apps to be delivered reliably and in a feature complete manner across all of the various smart devices. While today it might be possible for a streaming music service to be omnipresent on every possible smart device from a watch to a car to a TV to a refrigerator to a treadmill (and a phone and a tablet), down the road the user experience for that streaming app will have become rich enough that the primary use case will drive the expected experience which won’t be duplicated across devices, whether that is because the devices vary in capabilities, screen sizes, or just human interaction or just because there are too many different platforms. Two examples help to reinforce this product challenge. Screens / TV. We all want lots of stuff on our big screens. We want streaming video, live broadcast television, music (maybe), and perhaps some web services like messaging. But these are all sophisticated experiences (finding the video, dealing with TV signals/guides/DVR, managing playlists, different apps), and so it means they likely demand (or will demand) a rich interaction model connected to services. Good news! We already have this interaction model on our modern mobile tablets and phones. Why try to duplicate this with the added complexity and variety of TVs? Rather a device like Chromecast or Apple TV shows how you can use the TV simply as a “dumb screen” which becomes far more manageable, the UI is far better, and is a much better overall experience. These solutions, where the screen is dumb and the mobile device serves as the gateway to the dumb screen seem to put the code in the right place and reduce complexity and increase simplicity for the use case. 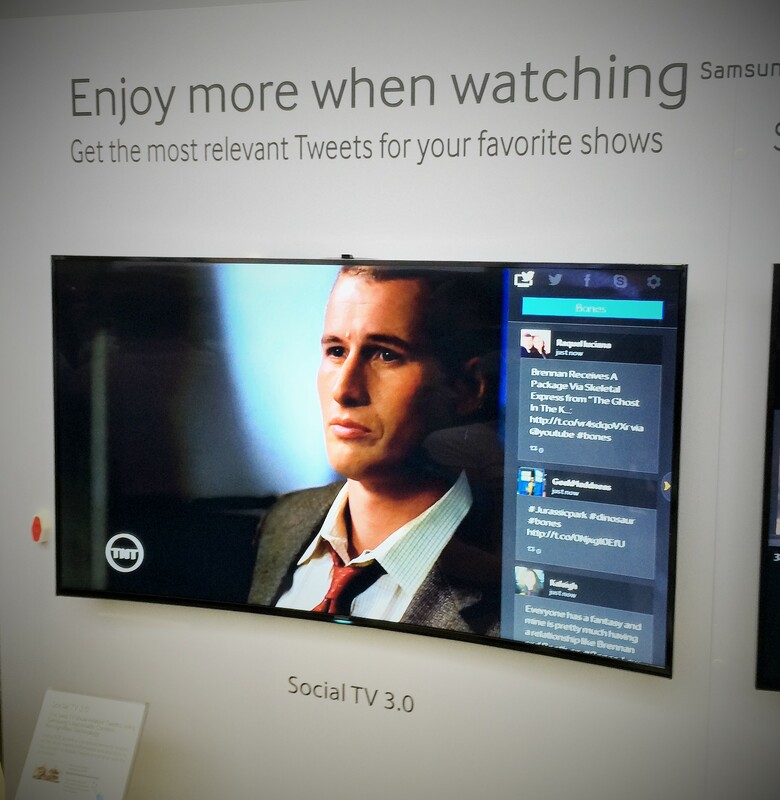 It is worth asking if this Twitter client on a TV will ever match what you can do on your mobile device in your hand while watching the show? That’s not to say there won’t be other use cases integrating apps into TV, but just showing subsets of the mobile apps side by side doesn’t seem right. Autos. From Audi to Volvo we saw smarts added to cars. This was added in the form of a screen, a telemetry platform, and apps. What is different about this compared to TVs is that we don’t want cars to be dumb. We want cars to be smart about being cars (safety, maintenance, better driving and accident avoidance). 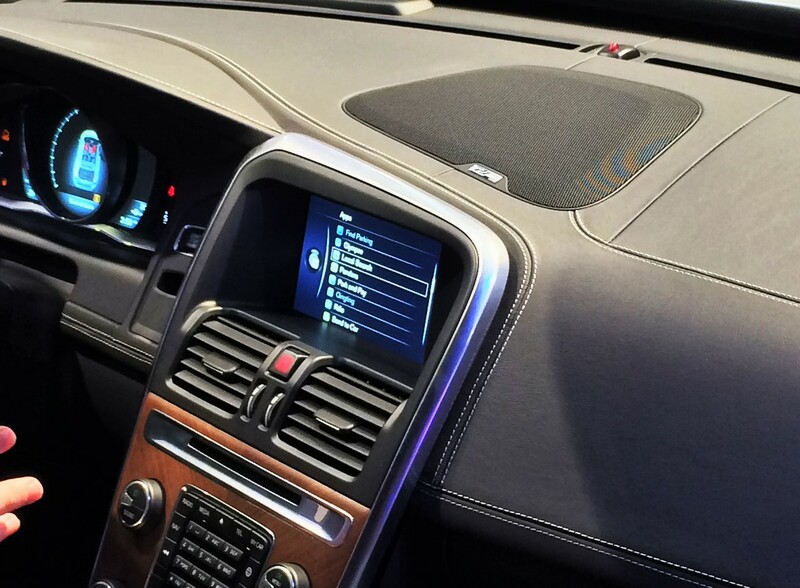 Like TVs, however, it isn’t clear that we want to put the equivalent of a unique mobile platform in every car brand. Is there any chance the mapping app in a car will be on par with the mapping app in my mobile device? Wouldn’t I rather have the same ability to send my mobile screen to the car screen that I get with Chromecast or Apple TV? Perhaps having a protocol that supports touch in that scenario is very helpful too. In the meantime the smarts of the car can focus on the things the car needs to do, and perhaps even recognize the best way to have a user experience and manage those would be with an app and cloud service? Ultimately, the way cars are made means that the technology choices are out of date by the time the car makes it to market and if you own the car for 5 years then those technology choices are really dated and perhaps the overall resale value of the car declines. Will this UX really be right today or in 8 years? The fact that all the screens and cars are making bets on technologies that are just capable of being used helps us all—this is not the time to be cynical but the time to learn. These products are not done yet and we can’t highlight the greatness of the Lean Startup and MVP and then be critical of bringing to market products that might not quite be done—that’s where reviews, experts, and frankly store return policies can help. As a product manager you want to ask yourself about the trajectory and likelihood of success of an approach down the road when the work all comes together. These new products show exciting scenarios but maybe there are better ways to implement them. The advances in sensors have been breathtaking thanks to technologies like MEMS and others. Combining those with the ability to embed and whole OS and connectivity to cloud services in what used to be basic diagnostic equipment is a revolution in healthcare. 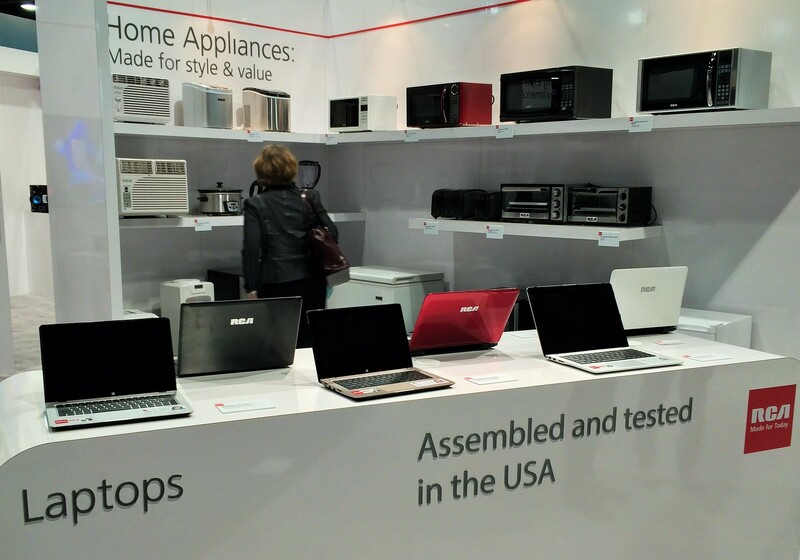 Here too we saw many new and breakthrough products. As a telemetry nut, obsessive compulsive, and geek these are some of the most exciting products ever. One thing that made this CES seem so new and fresh is that this feels like a renaissance in consumer electronics. Devices you buy at reasonable price points, solve specific problems like an appliance, and just work for a scenario. In most ways, these new devices are starting to deliver now. Basic body telemetry like weight, blood pressure, composition and more can now be easily measured, tracked over time, and even shared easily with care givers or compared with a circle of friends. Stepping on a scale every morning is quietly making a bar chart, setting alerts, and trending your data. And even better, such devices are learning from past designs and becoming easier to setup and use. No longer do you need a PC, EXE, and USB cable. Instead the device is paired over Bluetooth with a dedicated app and you’re up and running with a great UI in no time. Basic scenarios like maintaining compliance with medication are made easier by smart pill boxes that alert you wirelessly on your mobile device to take medicine. Overkill? Perhaps, but compliance rates are still not where they need to be. And combine this with easy measurement of blood pressure and you can see how putting smart in the right place, cloud services and mobile apps to make things accessible can be such a huge advance. Head injury. Much has been written about the rise in head injury in sports and long term risk associated with cumulative concussion, particularly football. 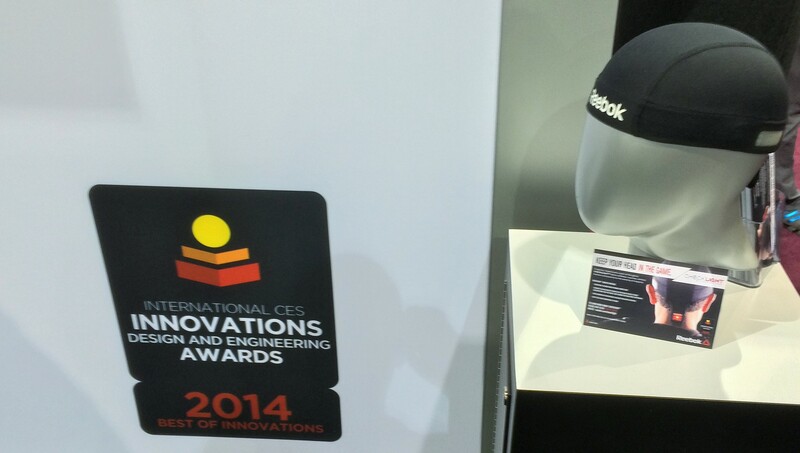 Reebok with the Checklight is one of many companies with a product designed to measure cumulative head impact using accelerometers. The packaging is very user friendly as you can see (and it won a best of CES award). The basics of the device are cool—a red light goes off when a certain level of cumulative concussion risk has been reached. Other variants of similar devices have different form factors (helmet integrated, mouth guard) and can even report real time to a mobile app. 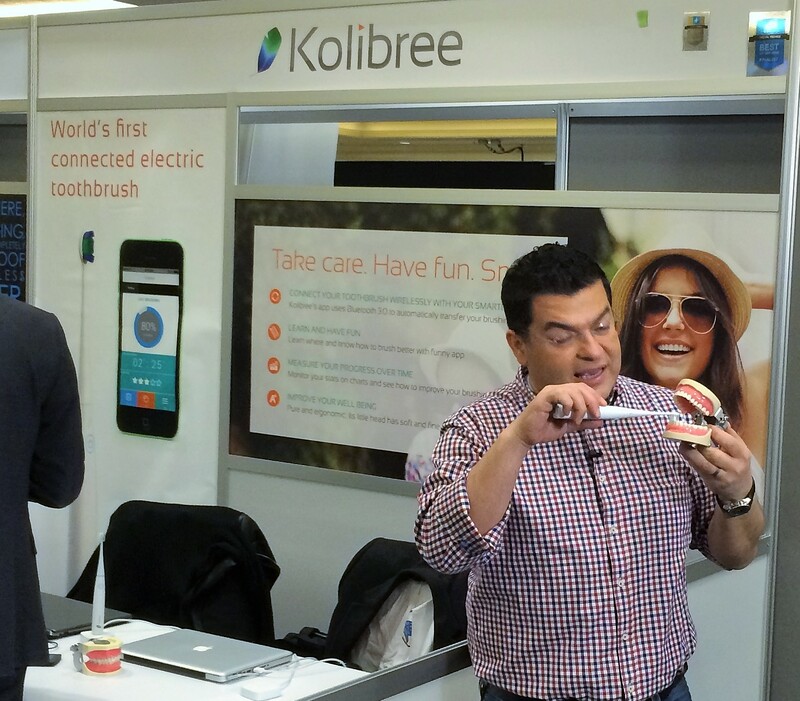 The telemetry, use case, and execution are all coming together at CES 2014. UV exposure. The JUNE UV detection bracelet by netamo simply measures cumulative sun exposure and integrates with a mobile app, again with a simple UI on the device and a data connection to a mobile app. There’s a lot to like about this for folks who work or play outdoors and want to mitigate the risk of skin disease or damage. The app/service provides advice and a suggested “routine” for your skin based on data. Blood glucose. Those that have been touched by diabetes (perhaps one of the more insidious diseases in the developing world, costing the US an estimated $245B a year in healthcare and related costs) know the complexity and challenges of testing and managing glucose levels. The YoFi Meter, http://www.yofimeter.com/, is a very smart device (see the above discussion). It combines a glucose test strip dispenser/reader, a lancet dispenser, along with a simplified tracking interface on a touch screen and an integrated 3G connection to a cloud data service. 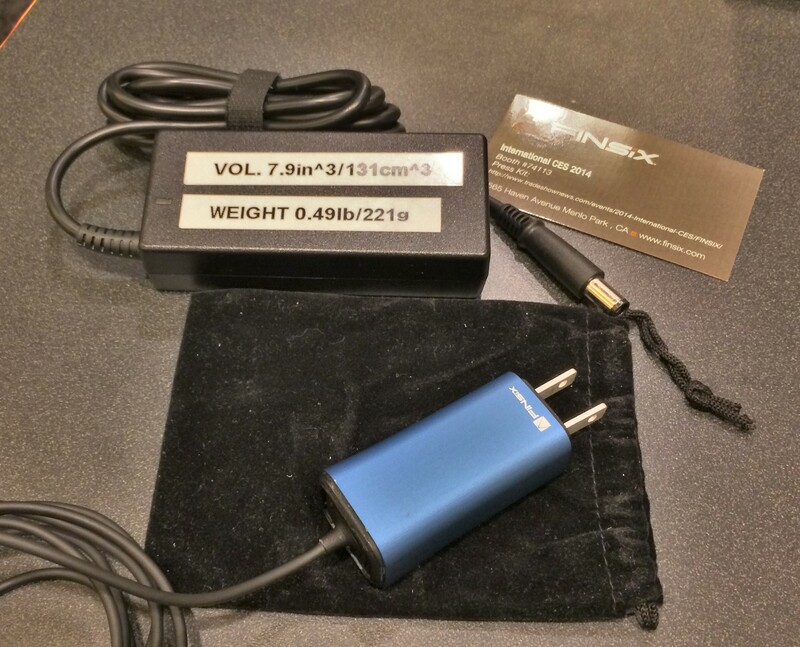 This is a device that takes compliance to a new level. At first I might have thought this device is too smart, and then after talking to the designer I learned of many use cases where a companion mobile phone isn’t available or possible (for example, students must be tested by the nurse who doesn’t have time to call up parents with real time data and a phone might not be available in school). Each of these three devices shows how telemetry and mobile apps/cloud services can dramatically change the basics of healthcare for a scenario. There are challenges we will all need to deal with however. These challenges are not new to those who already work with data. Data does not always lead to actionable next steps and sometimes more data leads to more ambiguity. These three devices show how the reality is that science is not yet caught up to being able to present us with all this data. In the case of concussion and head injury, right now the data is unclear on how much cumulative impact over what period of time is “safe”. So while it can be measured, exactly when and how to act is not clear, particularly for children. It is easy to see how the debate will quickly move to one of acceptable levels. So more studies over a longer period of time will be needed which for this type of measurement will take decades given that the measurement is just now available. Science is hard. Glucose measurement is the other end of the spectrum. For diabetics the data and management is well understood, but compliance is challenging or at least not super convenient. The advances are amazing and ready now! Sun exposure is one that becomes interesting only because the data basically says to minimize exposure as much as possible—in other words there’s not really an acceptable level of UV light (i.e. SPF 40, see http://www.aad.org/media-resources/stats-and-facts/prevention-and-care/sunscreens). Together these show the opportunities and challenges in the healthcare telemetry space. In any product design, the ability to measure something and present the measurement to a customer is not the same as being able to provide reliable and actionable information. It is critical in the design of a product to be clear on what to do when the product tells you something, lest the dreaded “Check Engine’ syndrome. While many healthcare devices are wearable, the broader category itself exploded this year as has been well documented…everywhere. When it comes to sophisticated wearable communication devices, this is a year of learning products. Most are not ready for primetime or broad usage, though many will find niches with early adopters or enthusiasts. This shouldn’t be news to anyone. Consider as an example post-VHS digital formats for movies forays into optical media (LaserDisc anyone), the path from first products to broadly used products is often one with many twists and turns in basic technology and scenarios. In addition that path from the first component sized DVD player to the 6″ round portable DVD player or integrated flat screen DVD player took some time. Innovation does not happen all at once, even though we often remember it as punctuated moments in time. There’s no need to document the dozens of communication wearables on display. Most shared the same basic characteristics, with Pebble being the established player that has already earned an enthusiastic base of early adopters. These pair with a mobile device, share notifications, and permit some level of interactivity and apps/ecosystem. Some do less and trade off towards a longer battery life by doing less. Others try to subsume the mobile device entirely and act as a phone (see below). The primary “cause” of this is that the ability to miniaturize the hardware platform and squeeze a full software platform on the device has surpassed the ability to build a software experience and use case. These devices, by and large, are currently in the “because we can” phase of innovation. That’s not bad and in fact when software meets hardware it is often a necessary ordering. The primary challenge, at least from my perspective, is that no one has arrived at a new use case. We’re simply looking to move some use cases of the mobile device to a wrist based device. But the device on the wrist is “less of everything”. Taking a disruption point of view, this isn’t disruptive yet. As often discussed, the first PC-derived tablets were more PCs without keyboards than they were a new set of use cases (pen based drawing/notetaking notwithstanding). It wasn’t until the iPad presented a new set of mobile scenarios and capabilities and the hardware was better able to meet the scenarios that a device without a keyboard was able to define a new use case. Absent a use case, the dialog around wearables will just bounce around the constraints of screen size and battery life. You can only do so much with a tiny screen and a wrist sized device can only operate a screen for so long. While one likes to be notified with a UX based on a glance, it turns out this is pretty much what mobile phone designers work to do all the time and with a lot more screen real estate and elaborate UX. On those platforms the debate is an endless one around how much can you do to a notification and what are the verbs that act on it. Is a new text just read, read and reply with a canned set of replies (and can/how might those be customized), or full messaging capabilities? Do those choices extend to custom messaging apps like WhatsApp or Skype? Who will write those apps? When those apps have new features do they carry over to the wrist? 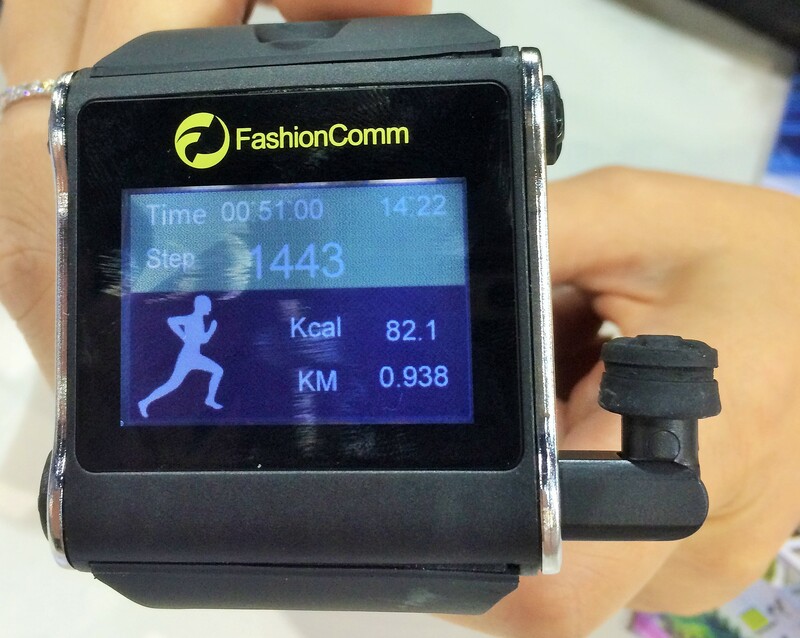 Here is one example of a fitness watch that is also full smartphone on a wrist, including a pull out Bluetooth headset. This is a complex set of questions. From a product manager perspective, they all boil down to defining use cases and scenarios for why a device should exist. Is it a companion? Is it a replacement? 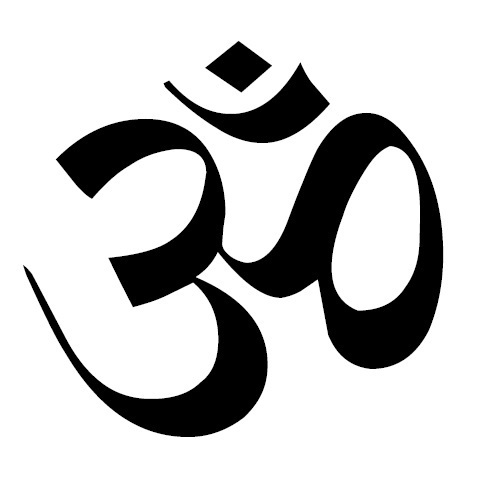 What does it do uniquely such that I’d be willing to forgo other functions I already have? Disruption theory says that it is totally ok for a new product to do less, so long as it is so good at something that people want more as that’s the whole point of being disruptive. It is still early. It is too early to judge these devices as what is possible and for most of us too early to be adopting these devices. They are the stuff of Star Trek, which by that theory of innovation only means it is a matter of time. 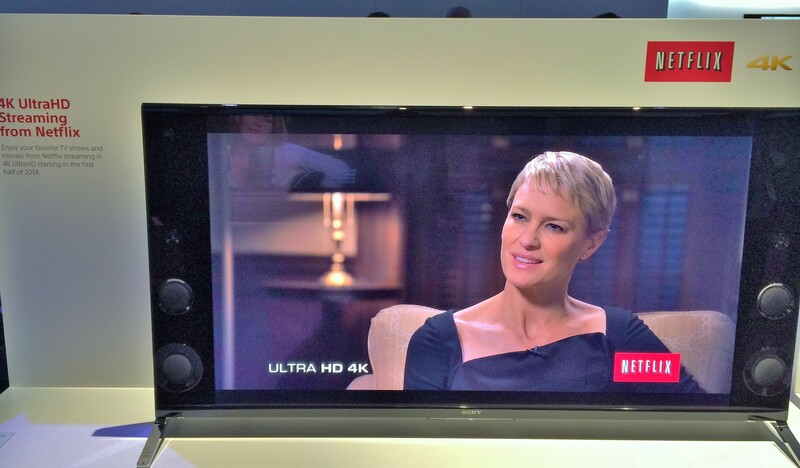 If you’ve seen just one article on CES then it is certain you know that new TVs on display were both 4K and curved. 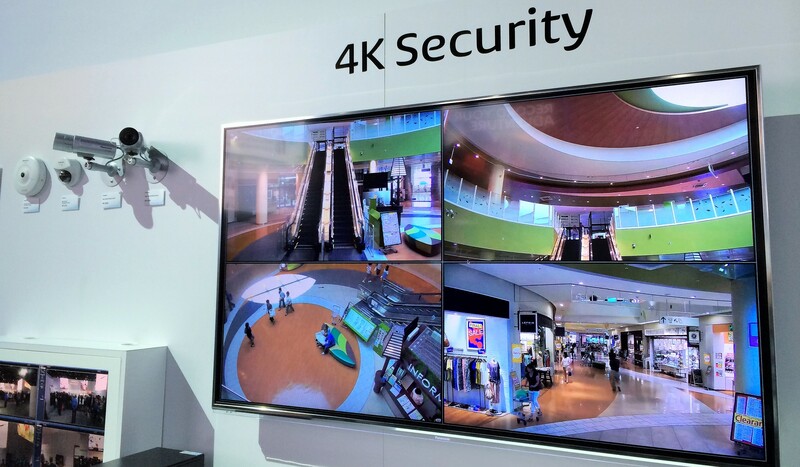 Cutting to the chase, if you buy a TV in 2015 odds are it will be 4K. The rapid march to 4K is more massive than anything we’ve seen in screens. Moore’s Law is our friend here and at some point the entire supply chain will just convert to the mechanics of making 4K and it becomes essentially non-economic to maintain the old processes and supply chain. We’ve seen this with memory, storage, processors, and screens. Silicon based innovation lends itself to rapid and whole movement of products. That’s good for all of us. Cutting to the chase, if you buy a TV in 2015 odds are it will be 4K. Extremely rapid cost reduction. Competition is fierce and the economics of the processes will likely drive 4K screens to “acceptable” consumer prices much more quickly than the move to flat screen or 1080P. During the show Dell announced a 4K monitor for $699. My early adopter 15″ VGA LCD costs $1999 (and weighed more than the Dell will). Yay for consumers! Content will appear. While we can all bemoan the hype and failure cycle of 3D at home, which included a lack of content, there were already significant content deals for 4K, notably Netflix. While you need 15MB bandwidth for 4K the content will be there. Rest assured, the rest of the content industry heard this and so I suspect we will see brilliant 4K content of some form very rapidly. Again, yay for consumers!! If you have any doubts, once you see a 4K screen you will want one. Put aside all the arguments about physics, optics, and more, it just feels right. In practice, what you really want are high gamut and 60fps, so let’s hope these attributes and benefits become clear to consumers. Again, this shows the value of reviews, community, and expertise in the adoption of CE. Curved screens were somewhat of a surprise to many attendees I believe. In booth after booth people had somewhat puzzled looks at them and there seemed to be a broad effort to quiz the booth staff with “so what good is it”. Most of the time we all got the general answers about immersive experience or less reflection. Each of these to some degree are true (especially reflectivity in many situations). Again, as product managers we see a hardware technology appear because it can but the use case hasn’t yet been determined. Like the first color computer screens that many argued against claiming software was inherently black and white, curved screens are about new use cases not just curving a football game. One view around CES and you can easily see scenarios such as signage that become incredibly cool. Today signs that are interactive are much cooler than static signs (or menus and more). Signs that need to be on curved surfaces are static and boring. 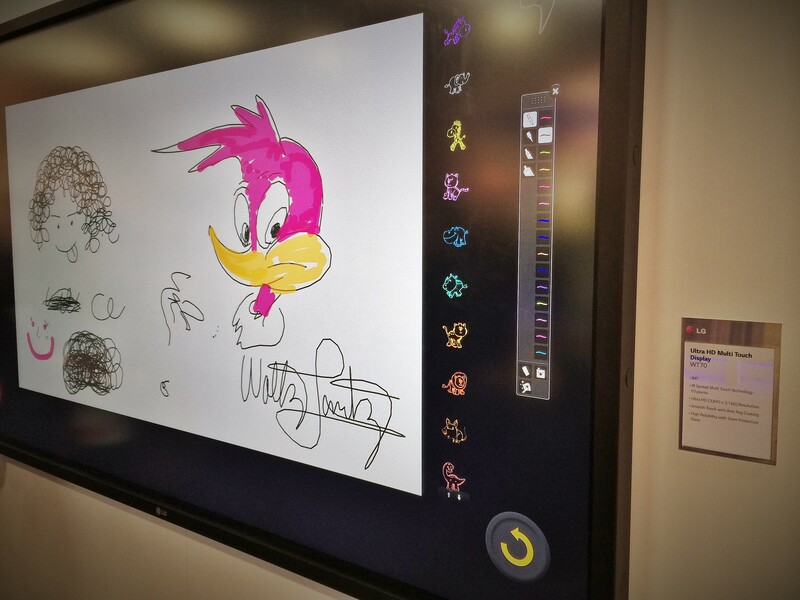 Maybe curved displays will be a niche at home and find themselves useful only for commercial signs. 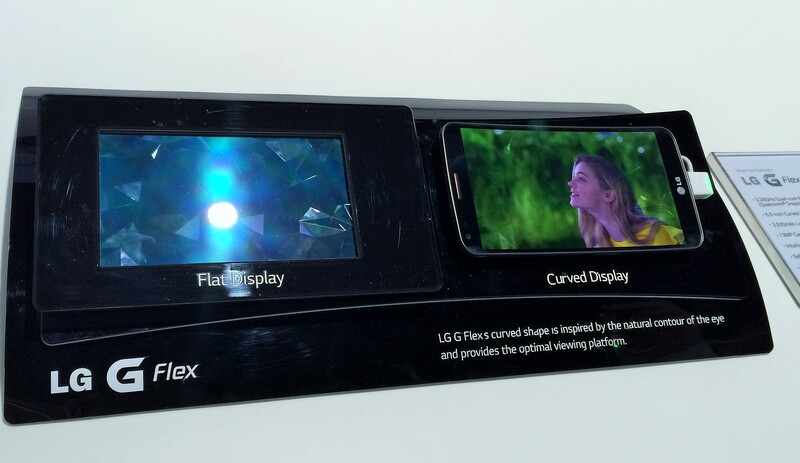 I’m going to bet on the creativity of content and product people to develop new use cases and before we know it curved screens will be ubiquitous as “flat screens”. Finally, this year saw a great many more wide-aspect ratio screens at 21:9. For the most part, the mass market of screens are made in a small set of aspect ratios depending on mass adoption. Like film was historically, there are both benefits to this along with those that want to experiment with alternate aspect ratios. The iOS tablet world is 4:3 and the Windows/Android/HD world is 16:9. The ultra-wide 21:9 seems rather appealing for a number of use cases, including side by side and multiple inputs. If you combine the ultra-wide screen, more pixels, and curved display you recreate a developer workstation or Bloomberg terminal but with a single screen which can mean less space, easier ergonomics, and perhaps less power. Again, it seems like the use cases are going to quickly follow the technical ability to make the screen. The product manager view of screens is to consider what you app or content can do when being projected on or making content for these new capabilities. As we saw with Retina pixel density, these changes can happen quickly and getting left behind is not always a good spot to be. The evolution of most CE devices is often to more features and customization, and over time this can be viewed negatively. Certainly at some point this complexity makes products unappealing for many. The industry has a great many enthusiasts who love to customize and tweak. Analogous to the auto shows, some people used to love to look under the hood and adjust the engine. Back in the heyday of Auto Shows (they are still huge, but CES and tech have eclipsed those shows in media coverage in my biased view), the talk was about components of cars. This dialog was broad and understood. Average consumers knew about horsepower, disc brakes, electronic fuel injection. Today cars are about design, convenience, and use-centric concepts like capacity and MPG. CES, this year in particular, has transitioned to talking and showing more about use cases and less about how products are built. In almost all devices you have to look hard to find gigahertz or megabytes. You see tasks or uses much more up front. This isn’t always the case and often the first questions are about specs. Still, I would say a lot of “progress”. Some examples of this jumped out at me, particularly in the gaming world. The gaming world has traditionally been split between consoles representing the true CE experience and the gaming PC which defined the ultimate enthusiast experience when it came to moding your gaming PC. For gamers or those that want to just play games this is a banner time with an explosion in gaming options. Many believe the usage in phones and tablets will dominate with casual games available in app stores. The new consoles from Sony and Microsoft promise to bring gaming to new technical levels with their advanced PC componentry in a true CE package. 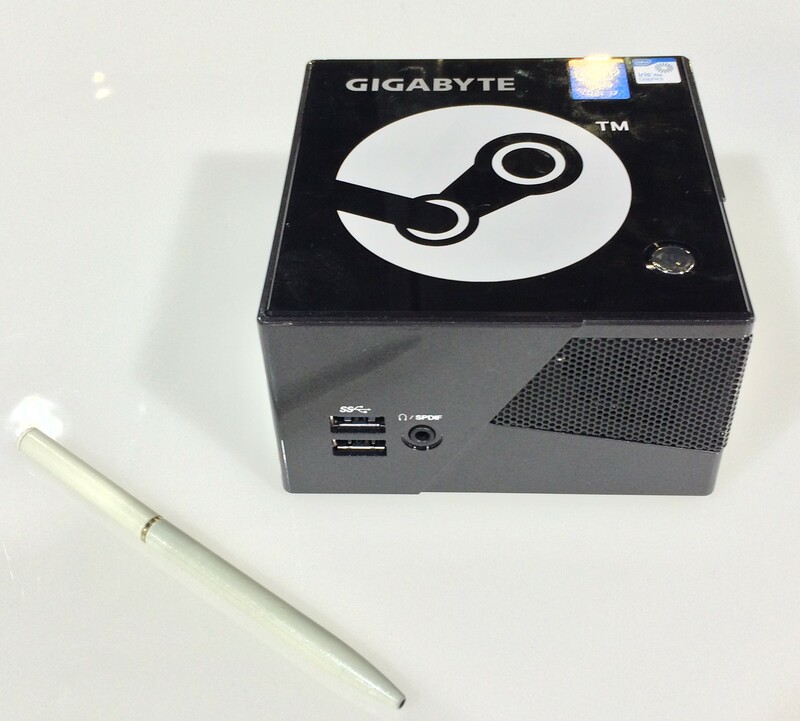 Finally, at CES we saw the SteamOS powered devices (PCs) and an example of a more state of the art or “modern” PC. Steam Machine. SteamOS promises to bring the simplicity of consoles with the power of PC gaming. Some critics are saying it brings neither and is in-between. But the popularity of the Steam platform is significant with millions of intensely active members. The product manager question is whether Steam disrupts PC (or console) gaming or simply extends the life of a gaming platform that while popular is being squeezed between consoles and mobile devices. Is the SteamOS powered device re-imagination of PC gaming or an appealing convergence of the PC with consoles (see https://blog.learningbyshipping.com/2014/01/07/the-four-stages-of-disruption/)? A Steam Machine is an Intel-based device meeting a set of baseline specs, combined with the Steam Controller and SteamOS. The debate among gamers is about the specs and capabilities of the underlying hardware along with the lack of ability to mod the devices. The Steam Machines themselves represent a broad range of “sealed case” form factors, most of which existed as Windows game PCs in various forms. Razer Project Christine. 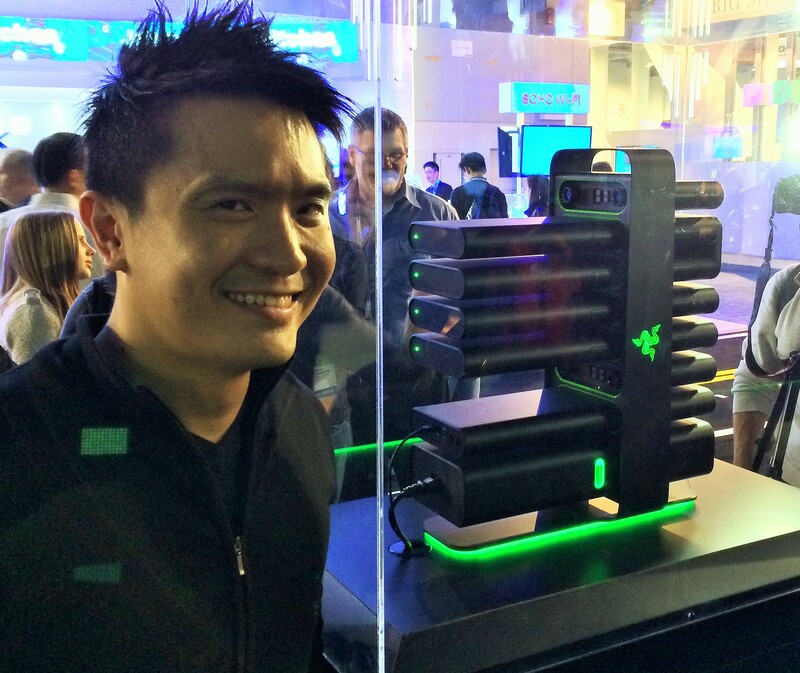 Razer introduced Christine, which is a highly stylized modular PC. While the idea behind a modular from factor has been tried several times before, the combination of hardware interop, industrial design, and openness to accessorization (my own word) are at a unique point in time. Razer has a very active customer based that thrives the combination of gaming and accessories for gaming. It might just be that this hassle-free notion of moding a gaming PC will appeal to a broad set of PC gaming customers. In many ways this is an attempt to disrupt the PC gamer, while maintaining a commitment to customization. Project Christine beat out Steam Powered for CES Best of Show in the category. Reduced futzing is really enabled across a broad range of CE devices because of mobile apps, WiFi/Bluetooth connectivity, and cloud services. What used to be elaborate setup and configuration is now enabled via simple apps that connect to devices over wireless protocols. The rich UX afforded by devices replaces single line LED displays or embedded web server experiences. The ability to save/restore data and settings in the cloud replaces sharing via dedicated (and awkward) subset experiences for social networks. From WiFi access points to scales to cameras, we will spend (and tolerate) less time futzing and more time using CE devices. From a product manager perspective what excites me about these two innovations and the broader theme is the move “up the stack”. Our computing industry has broadly moved to modern platforms for both hardware and software and seeing gaming move in this direction is critical to the health of this style of rich interactive gaming. It is also a natural maturing of a technology area and to resist the change essentially guarantees disruption. The market for people willing to devote time to futzing is shrinking, no matter how much we (having built more PCs than I can count) enjoyed it. There are simply too many options for how to spend more time gaming and less time futzing. Just like people want to use cars to get around, not stare under the hood and fix them before going somewhere, the move up the stack is relentless for most every consumer. 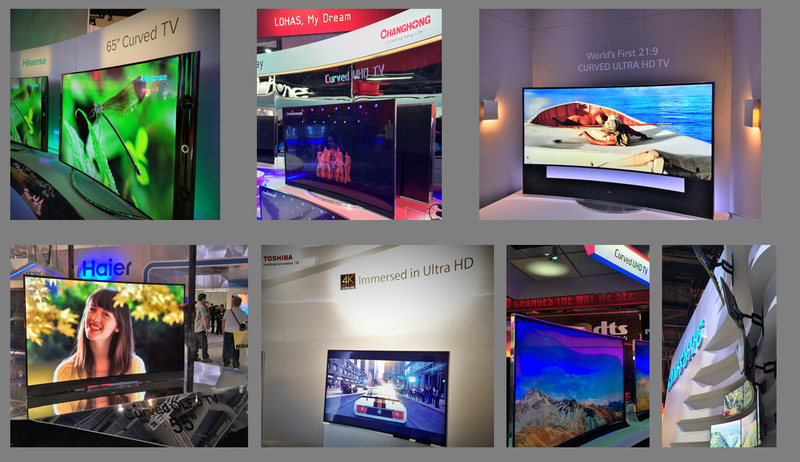 To wrap up a quick look at the year over year view of CES and what is on the move taking up more floor space and mind share and what is taking less beyond the items mentioned above. Android. There was a lot more Android this year than last year. Android of course is particularly popular among wearables and TVs where there is no third party option to use iOS. The inexpensive Android tablets we all heard about from the holidays were on display where you could see the dozens of OEMs packaging every conceivable screen size and spec into tablets. One note is that there was a complete absence of 4:3 Android devices, which I find interesting given the competitive nature of things. What this feels like is a reaction to avoid being like Apple, when in practice it might be that for some device sizes the squarer aspect ratio might be more convenient. Chromebooks. Building off what we might have read as momentum in the US over the holidays was a broader presence of Chromebooks. This year saw an all-in-one along with several lighter and thinner (and still inexpensive) clamshell formats. Phablets. It was interesting to see the number of show attendees using their really big phones (or small tablets). I would do a quick badge check and noted that more often than not the phablet user was not an employee of Samsung or LG, but just a user. I think this is a trend worth watching. If you have only one device the tradeoff towards a bigger screen becomes interesting. WWAN connectivity. Looking back personally, I was totally wrong on WWAN connectivity. I did not see a market where the carriers would make it so easy and relatively inexpensive to add another device to a data plan. From the glucose meter to auto fleet tracking to wearables, SIM cards were everywhere. This in spite of the fact that the hardware costs are real and the data plan is real. Many products, particularly those using WWAN for sending telemetry to a cloud service, will include a SIM and fixed data plan as part of the device price or part of the service plan, which is super cool. 3D Printers. The 3D printers are all remarkable. It is hard to overstate how much this will disrupt so many fields. There’s a lot of talk about a drone delivering a product, but what about just downloading it and printing it at home. The use cases for 3D printers are not at the broad consumer level but soon will be. Touch screens. All the major screen makers also showed screens that were touch capable. The most common touch detector was an IR field. All of these were hooked up to PCs. Every screen is a touchscreen or it feels broken. 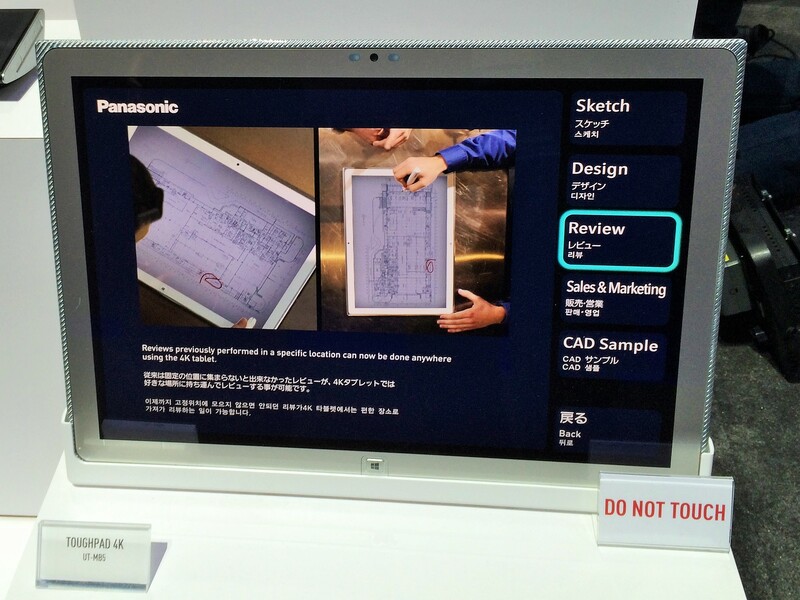 Also pictured below is Panasonic’s 4K portable running Windows. PCs. While Microsoft, HP, Dell, and others having stopped exhibiting on the main show floor can easily be responsible for the lack of PCs, the reality is that PCs are part of the fabric of the technology world, but not the front and center consumer electronics device. The reality of the floor is that PCs were not part of the use cases or scenarios and the modern mobile platforms have taken over. This image below sort of summed it up. Here we had RCA showing their new PCs (fairly thick and heavy laptops) in a booth with toasters and dorm refrigerators. Yet we all know, today, the products at the show were built using PCs, the businesses are run with PCs, and even the show itself would not be possible without PCs. The focus is just changing. Discs. There are no optical discs to be found, for storage or content. Content comes from the cloud. Content is stored in the cloud. This was the last show with discs, and they were practically not there. One might say the same for spinning media and even the satellite tuners were offering solid state storage options to reduce noise, size, and thermals. Projectors. Another reminder of Moore’s Law as applied to glass is that absence of projectors. While there are quite a few very tiny portable projectors, by and large projectors have been replaced by simpler and brighter on wall displays (soon to be curved and 4K). Wires. There’s almost no wire at CES anymore. Even the Monster cable booth was mostly about cleaning screens and wireless headsets more than wire. As a person who has no wired communications at home, I can relate. Home Theater. After a decade or more of “home theater”, the drive to simplicity, the role of streaming content, unified HDMI, and the preference for mobile, has all but eliminated the idea of a complex, multi-component, theater. Today’s theater experience is so much different than emulating a movie theater in a dedicated room at home using a projector and stack of 1000 watt components. People want to watch TV but also interact at the same time and that leads to a very different environment. With the ability to watch anything instantly on a tablet, a home theater has some strong competition for attention and use cases. The lack of a need for a home media library of discs or drives also alters the need for a dedicated room. 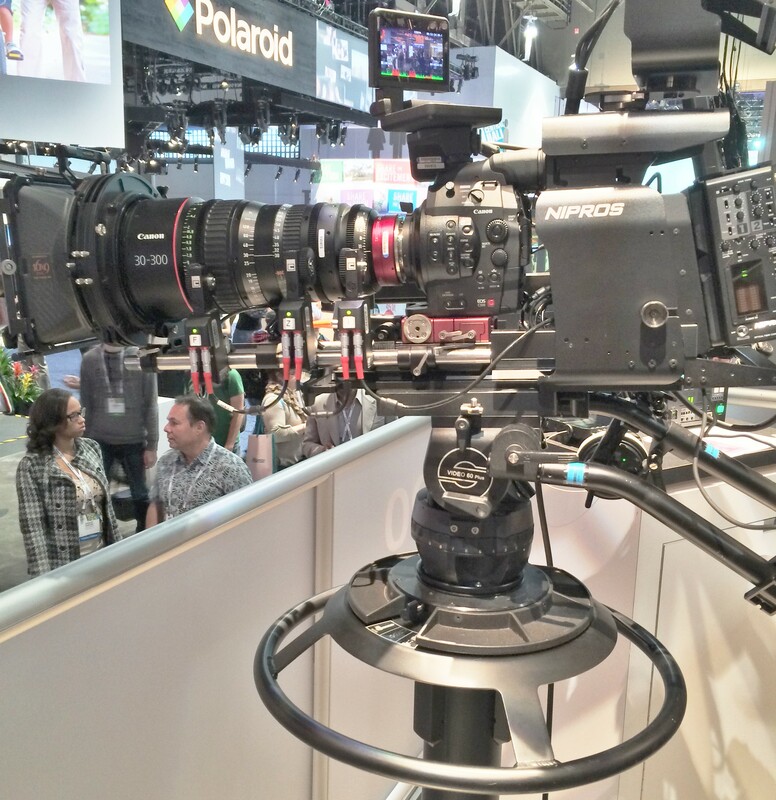 Live events and film fans still will have their dedicated experiences, but the equipment is drastically simpler. Remote controls. The world of complex infrared controls at home is being disrupted by mobile devices. Even infrared, while simple and low cost, feels like it will be disrupted by Bluetooth or even Wi-Fi. 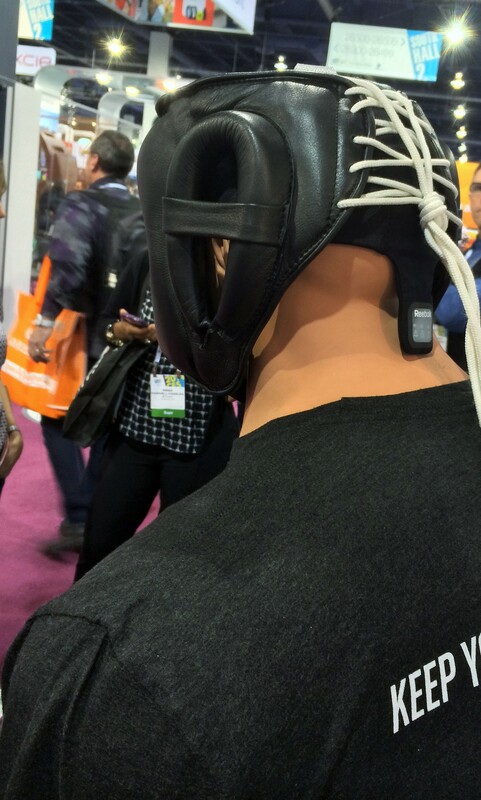 For those in technology, CES is really the greatest show on earth. We’re all privileged to be part of the technology industry in such a pivotal time. Next year is going to be even better. I’m counting on it. Sony’s full family of Xperia Android devices is also water-safe. These are all worth a second look I believe. 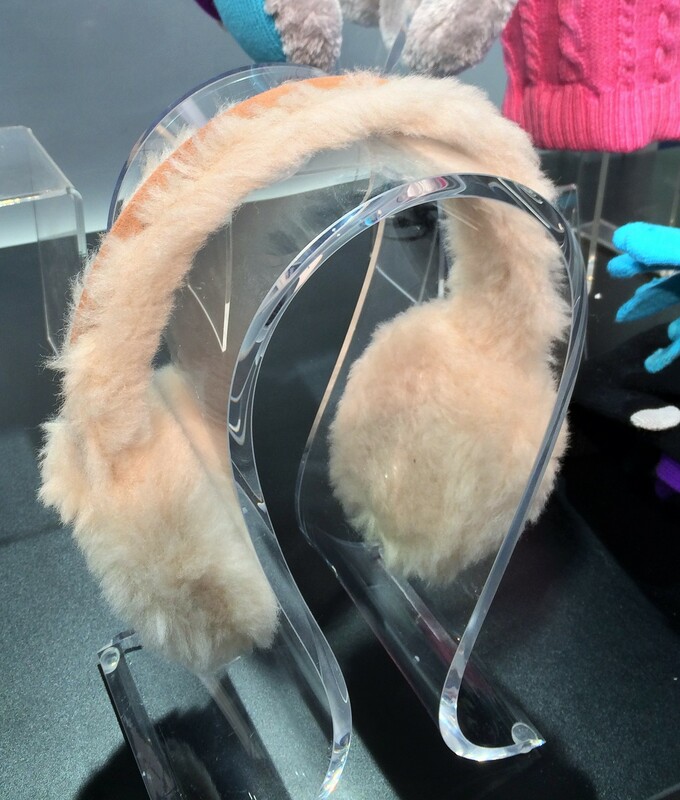 Bluetooth headphones plus earmuffs in one.